We offer turnkey e-bike fleet solutions for corporates, governments and commercial use. 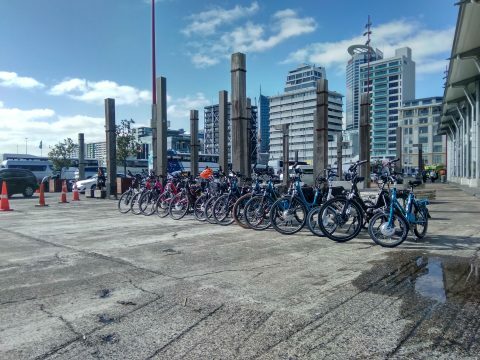 We cover e-bikes sales, leasing, training, onsite maintenance, bike parking, and ‘rescues’ in Auckland CBD. See also our Commercial FAQ. We would be delighted to help you investigate how electric bicycles can benefit your organisation. Scientific research has linked cycling to work with increases in productivity, improvements in staff morale and company image all while saving time and money. People who ride bikes to work are healthier, more punctual, have better concentration during the day and are sick fewer days of the year. Time savings and predictability: congestion-free and without needing to find parking. Huge monetary savings in car costs including petrol, parking, maintenance, capital costs and storage. In the Auckland CBD, the average car spot costs $5000/year and has traditionally been subsidised by the company. This is a huge sum, given that most electric bicycles cost much less than that to purchase outright! Social corporate responsibility. provides a great image for these organisations with a large public profile. Business travel such as to meetings, site inspections, events, etc. 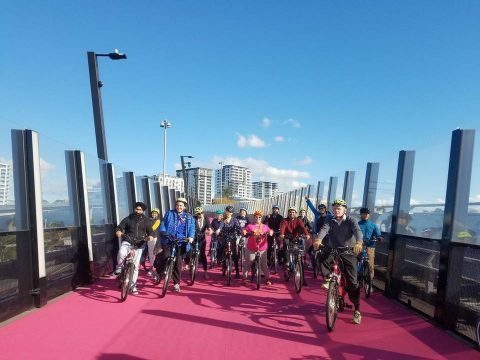 In our electric bicycle company in Australia (Glow Worm Bicycles), we have supplied to several local government councils, letterbox deliverers, food delivery companies, security companies, restaurants and more. Maintenance: We supply ongoing maintenance for e-bike fleets. For central Auckland clients this can be done on site. For other areas, pick up and delivery may need to be arranged. Security companies: e-bikes to improve guard response time and enhance positive engagement with the public in a friendly way. Meter readers, council rangers, building inspectors and others with ‘door to door’ rounds can get around faster and more easily with an e-bike. 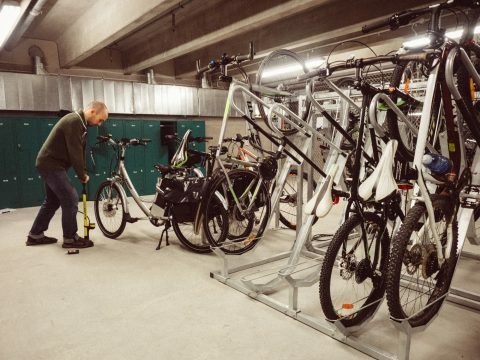 Organisations can offer electric bikes to staff as part of a salary package. Similarly, talk to us about staff benefits when purchasing an electric bicycle from us. Please contact us if you’re interested in learning more. We will be happy to give advice on the possible benefits for your organisation and arrange a demonstration. You can read through our FAQs. Trials, leasing and sales are all possible. Depending on the size of your organisation we can also set up a staff benefits program where they can access discounted electric bicycle packages from our store. Alternatively you may wish to purchase them and provide them to your staff as a salary sacrifice package in lieu of a car parking space.